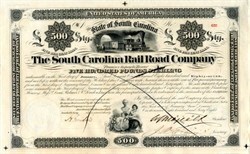 Beautifully engraved certificate from the South Carolina Railroad Company issued in 1868. 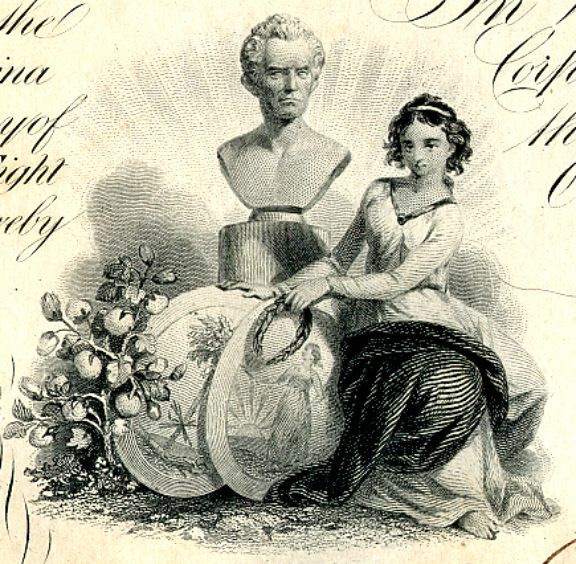 This historic document was printed by the American Banknote Company and has an ornate border around it with two vignettes of a train coming through a tunnel and of an allegorical woman with a bust of a man. This item has been hand signed by the Company抯 President, and Secretary, and is over 144 years old.